Robert’s grip was as strong as steel. His heavily tattooed arms were as thick as my quads and in his grip I felt helpless. You see, Robert was a convicted murderer and even after spending almost four days with him, I wasn’t prepared for what came next. His tears…running down my neck, staining my shirt, and carving into my soul. What could I possibly say to this man that would provide any level of comfort? 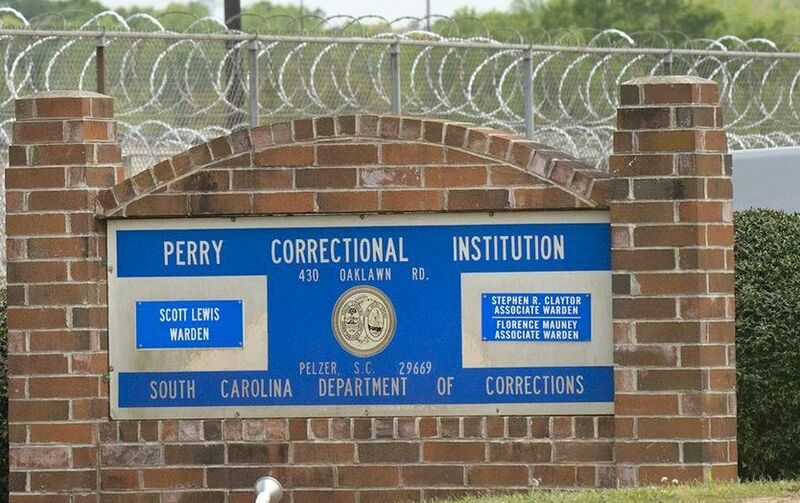 Robert (not his real name) was an inmate serving two consecutive life terms at Perry Correctional Facility. And I was there as part of Kairos, a non-denominational Christian ministry that goes into prisons to minister to inmates. I’d met Robert my second day at Perry when we were placed at the same table. Me, two other servants, and six inmates spent the better part of three days getting to know one another then listening as the men eventually confronted their past, and tried to make peace with their future. And through it all, there was Robert. It was obvious from the first morning that he was looked up to by the other men and it wasn’t because of his size (all of six feet five and rippled with muscle) but rather because of his demeanor. He was calm, confident, and had a personal relationship with Jesus Christ. I was told he would often break up arguments with insightful reason, fights with requests to settle things via discussion, and disputes through mediation and concessions. And I believed it because I saw him do this several times during our discussions. He was conscientious, well-read, courteous, and an excellent negotiator. And several times during that long weekend I listened to him speak and pictured these inmates in street clothes and realized that if we were at a Starbuck’s, no one would be able to tell that these men were all doing hard time. Kairos has been around since World War Two and its mission is simple: listen, listen, love, love. In order to participate, the inmates must be vetted by the prison chaplain. And the servants, the visitors from the outside, must be willing to be a conduit, to lead these men to a conversation about the love of Jesus Christ. What I learned on those visits is the men I met came from broken homes and rarely had anyone listened to them; until they came under the influence of a gang, or other criminal element. The gang provided the family that they were devoid of at home. Most of our men had been in prison for years and most were looking at many more years of incarceration. What did they do to end up behind miles of concertina wire? I don’t know and we don’t ask, we just listen. We read scripture, sing a bit and conduct team-building exercises that would be familiar to any office group. And those exercises gradually become more meaningful, more spiritual as the weekend goes on. The men I’ve met through Kairos, men that are doing hard time, twenty, thirty, fifty years, they all have the same story and the same wish. They all came from broken homes. They didn’t blame their situation on the government, on gun laws, who was or wasn’t President, their attorney, or the cop that arrested them. And every one of them ached for a father figure. Not a fancy car, not a huge house, a pile of cash, tailored clothes or an in-ground pool. They just wished for a Dad. Every. One. Our culture glorifies violence at every opportunity, 24/7. We’re inundated with it. It’s in our video games, on Youtube, TV commercials, music; I could keep going but you’re probably already shaking your head in agreement. At the same time, culture loves to mock Dad. He’s clumsy, dimwitted, inept, and muddles through life clueless to the many attractions of modern culture. And inside the prison system, the men I’ve met that were looking at another thirty years inside their cramped, stifling prison cell ached for that man. That bumbling, inept man that knows the difference between right and wrong, how to treat a woman, how to throw a baseball, how to fix a leaky roof. The man that knows the value of a steady job. That was the man they never knew. And that was the man they wished they had. That was their dream. Take time to be a Dad, to be a mentor, the father figure someone else didn’t have. Reach out to that young apprentice, the one wearing Wal Mart slacks and a clip-on tie, take the time to listen to someone’s story. You just might be all the difference, all the positive influence that someone needs.